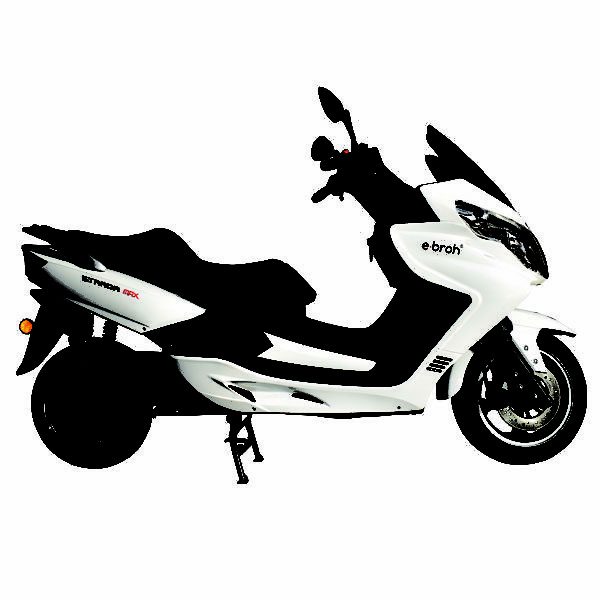 We inform you that your electric scooter Strada Max has to be tuned and therefore it is necessary to deliver it to a point of sale. If this is not possible, get in touch with us. 5000W MOTOR POWER DC Drum Motor Direct Brushless. Maximum Speed: 90 Km / h.
Front brake: Disc brake / Ø 240 mm. Rear brake: Disc brake / Ø 240 mm. Maximum load admitted: 253 kg.